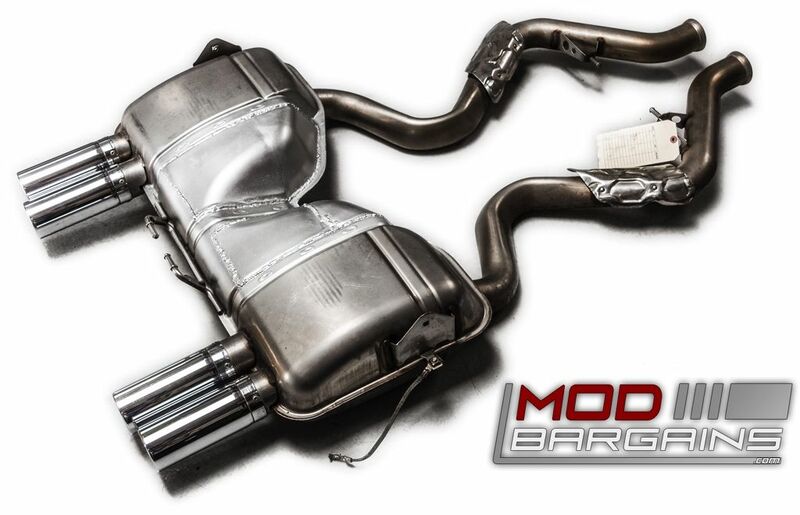 For a serious change in exhaust note with out the flash of an aftermarket exhaust... Modifying your existing M3's muffler section is a stealthy way of adding a racing sound to your ride. 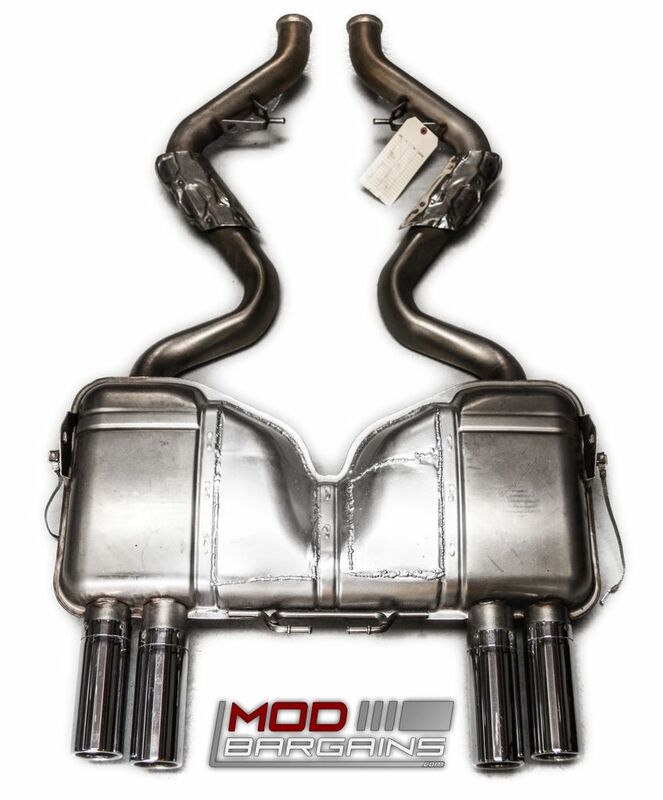 For a head turning sound change without the glitz of an aftermarket system; the OEM Exhaust Mod is for you. 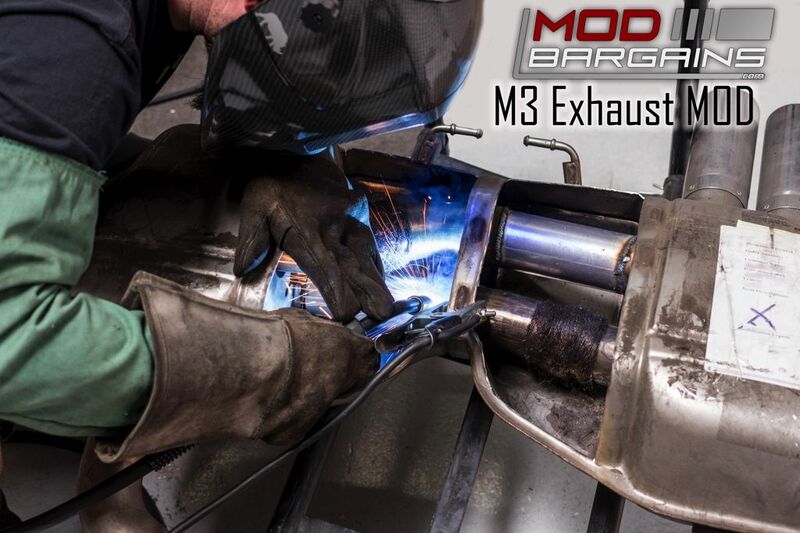 M3 Exhaust systems normally have internal open baffles and chambers inside them to absorb sound and reduce volume. Each system is carefully cut open and new bypass tubes are welded inside. The bypass tubes improve exhaust flow and increase sound volume. The canisters are then re-packed and welded shut for leak free OEM like performance. You end up with a stock looking exhaust system that performs like a race exhaust. Average Customer Review: 5 Based on 1 Reviews. If your looking for an exhaust system that will sound good but not get you in trouble this is it. Its about 10-15% louder than factory and maintains the factory look. Great price for what your getting.